Mohammad Ahsan and Hendra Setiawan rolled back the years with a sublime show at the DAIHATSU Indonesia Masters, entering the title round with a sample of the skills that won them the World Championships at the Istora Senayan in 2015. Ahsan and Setiawan (featured image) befuddled their young Chinese opponents Han Chengkai and Zhou Haodong in today’s men’s doubles semifinal. 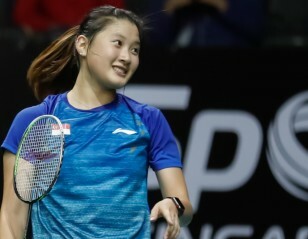 The soft dabs, the clever placements, the quickfire drives, the tight serve-returns… all were in place as the Indonesians wrapped their opponents in a constricting web. Given few opportunities to attack, Han and Zhou unravelled in just 28 minutes, 21-11 21-17. “This exceeded my expectations, initially we were just thinking of reaching the semifinals. They are a tough pair, strong and fast. 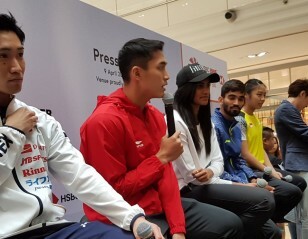 We had to apply our game pattern first,” Setiawan said. It was a day of mixed fortunes for Indonesia. Tontowi Ahmad and Liliyana Natsir won their mixed doubles semifinal setting the stage for what could turn out to be the perfect send-off for Natsir; the hosts were also assured of the men’s doubles gold with Marcus Fernaldi Gideon and Kevin Sanjaya Sukamuljo progressing to a faceoff against their senior compatriots, but they suffered reverses in men’s singles and women’s doubles. One last victory remains for Liliyana Natsir to accomplish the perfect swansong to her eventful career, as she and Tontowi Ahmad made the title round. 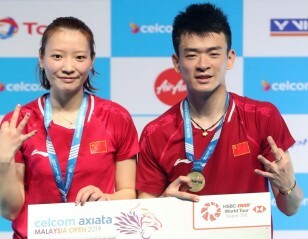 It will take one of badminton’s fairytale victories for Natsir to sign off on a winning note, for the Indonesian duo will be up against the world’s best pair – China’s Zheng Siwei and Huang Yaqiong. Zheng and Huang lost just five matches last year – but among their vanquishers was Ahmad/Natsir. Whether the Olympic champions can offset recent form and beat the world champions will be the subject of feverish speculation until the last point is won in tomorrow’s final. Ahmad and Natsir navigated an inspired early performance from Malaysia’s Chan Peng Soon and Goh Liu Ying; with the first game in the bag the Indonesians upped their level and ran away to a 22-20 21-11 result. 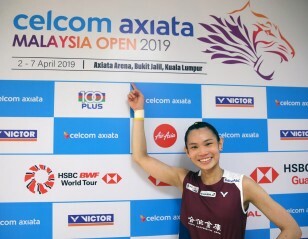 Greysia Polii and Apriyani Rahayu seemed on course to repeat last week’s women’s doubles semifinal victory over Japan’s Misaki Matsutomo/Ayaka Takahashi, but lost their way from 18-11 in the opening game. 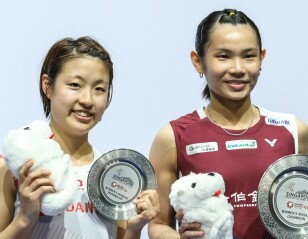 Although they saved two match points to take the second, the Japanese remained sharp – Matsutomo was outstanding in creating all the chances for her partner to pick off – and coasted home 22-20 20-22 21-12. On an adjacent court it went the other way for Japan. World champions Mayu Matsumoto and Wakana Nagahara were sitting pretty with three match points against scratch pair Kim So Yeong/Kong Hee Yong, but the Koreans mounted a spirited comeback and plucked off a surprise win, 13-21 22-20 21-16. The on-off combination, who played with different partners last year, are in their first final since the Korea Masters in November 2017. Kento Momota played a perfect second game to continue his dominance over Denmark’s Viktor Axelsen. 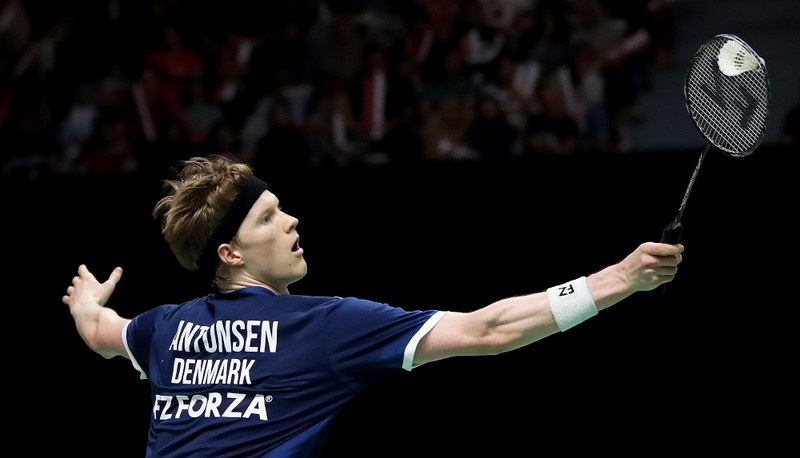 The Dane was bereft of ideas in the face of Momota’s masterly control all around the court, particularly at the net, and Axelsen quickly imploded. The 21-15 21-4 defeat was the most one-sided of Momota’s ten wins over the Dane. In the final, Axelsen’s compatriot Anders Antonsen will attempt to do what Axelsen couldn’t. Antonsen was too solid for home hope Jonatan Christie, who, after impressive wins over Shi Yuqi and Kidambi Srikanth, seemed to run out of gas. Antonsen will be in his first World Tour final. The women’s singles final will see Spain’s Carolina Marin against India’s Saina Nehwal. Marin blew six match points against Chen Yufei but never relinquished her attacking game, and that eventually won her the match. Nehwal also needed three games, to get past He Bingjiao, 18-21 21-12 21-18.